Indian fertilizer industry's main objective is to ensure the supply of primary and secondary nutrients in the required quantities. The Indian Fertilizer Industry is the most energy intensive sectors according to the context of environmental discussions. As there is increasing productivity through the implementation of competent and pollution free technologies in the manufacturing sector it would be desirable in combining economic, environmental and social development objectives. Today the Indian fertilizer industry in the past 50 years has grown in size and stature as it ranks third in the world. In 1950-51 in India the per hectare consumption of fertilizer was less than 1/4th of the global average. During this particular period the production was by and large in the purview of public sector and co operative sector. Government introduced the Retention Price Scheme (RPS) in the year 1977 with the goals of providing fertilizers to farmers at reasonable rates without affecting the profitability of the manufacturers. The government under this policy would pay the manufacturers, the difference between the administered price (sale price) and the retention price (cost of production).Over and above the retention price subsidy, the equated freight subsidy was introduced to enable the manufacturers to cover the cost of transportation. 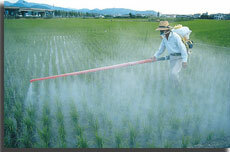 Economic liberalization Policy had its effect on the fertilizer industry too. Where the government had the move to aim at reducing subsidy and decontrolled all the phosphatic and potassic fertilizers in 1992 the ratio of fertilizer utilization was strained. The government strategized a long term fertilizer policy to be completed in three different phase, beginning in 2000-01 and ending in 2006-2007. Evaluate the possibility of a coal based expertise. Finalize policy on fertilizer pricing and capacity enhancement. Eliminate distribution controls on urea and augment concession scheme to biofertilizers. Increase in urea prices from time to time. Eliminate MRP and encourage productive investment. Reorganize the association between the industry and farmers. Long term strategy of increased capacity. Decide on extent of protection to local industry. Judicious utilization of fertilizer and greater emphasis on eco friendly fertilizer. Establish Fertilizer Policy Planning Board. Define government's role in decontrol setup and with respect to policy relating to LNG. Indian Fertilizer industry today has succeeded in meeting the demand of all chemical fertilizers over the years. The first manufacturing unit was started by the Indian Fertilizer Industry which was of Single Super Phosphate (SSP) in Ranipet near Chennai with a capacity of 6000 MT a year. India's green revolution in 60's gave a positive boost to this particular sector. The industry of Fertilizer experienced a faster growth rate and presently India is the third largest fertilizer producer in the world. According to Statistics, total capacity of the industry as in .2003 has reached a level of 121.10 lakh MT of nitrogen (inclusive of an installed capacity of 208.42 lakh MT of urea after reassessment of capacity) and 53.60 lakh MT of phosphatic nutrient. In India, presently there are 57 large fertilizers plants producing urea, DAP, Complex fertilizer, Ammonium Sulphate (AS) and Calcium Ammonium Nitrate (CAN). There are others also boosting the Industry like the Tranvancore of India Ltd. (FACT) in Cochin, Kerala, and the another one Fertilizers Corporation of India (FCI) in Sindri, Bihar.Both of these were established as pedestal fertilizer units to have self sufficiency in the production of foodgrains. Later the industry gained impetus in its growth due to green revolution. Then followed by seventies and eighties when fertilizer industry witnessed an incredible boom in the fertilizer production. The total indigenous capacity of N and P2O5 increased from 17 000 and 21 000 tonnes in 1950/51 to 12 276 million and 5 547 million tonnes in 2004/05. Fertilizer Industry consists all the opportunities for the person who has graduated in the filed of science and specialised in the areas of agriculture. Job opportunities available in the fertilizers industry can easily be know in the several placement and employment websites which are available online by the job seekers. Accounting, marketing, manufacturing, sales, etc. are the various jobs available in this field in India. 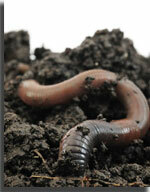 The fertilizers industry and related jobs offer opportunities are available in different areas of the field. Several jobs are available in this area and one can study about fertilizers and build a career in fertilizers industry or related fields. The classification of the Indian Fertilizer Industry as "Red" represents it as a highly polluting industry. Indian Fertilizer demand in 2007-08 was 26 MM tons, which went up to 29 MM tons in 2008-09 against a supply of 20 MM tons in 2008-2009. 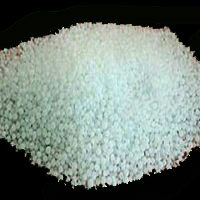 It is forecasted that the demand for fertilizers in 2011-12 is going to be around 35.5 MM tons. The leading role is to be played by Gujarat in fertilizer production. There is a lot of development going on to meet the demand of fertilizers in the country through indigenous production, self-reliance in design engineering and execution of fertilizer projects is very crucial. There are consultancies which organize themselves to undertake execution of fertilizer projects starting from concept/designing to commissioning of fertilizer plants in India and abroad. The fertilizer plant operators are now in the position to absorb and assimilate the latest technological developments, incorporating environmental friendly process technologies, and are in a position to operate and maintain the plants at their optimum levels without any foreign assistance and on international standards in terms of capacity utilization, specific energy consumption & pollution standards. Indian fertilizer industry is carrying out de-bottlenecking and energy saving schemes for the existing plants to enhance the capacity and reduce the specific energy consumption per ton of product. Today India has developed expertise for fabrication and supply of major and critical equipment such as high-pressure vessels, static and rotating equipment, Distributed Control System (DCS), heat exchangers and hydrolyser for fertilizer projects. The most significant development/advancement made by the Industry is in the field of manufacturing of catalysts of various ranges by catalyst-manufacturing Organisations like PDIL. PDIL helps in implementing the schemes for enhancement of capacity and technological upgradation in their existing catalyst plant and other utilities at Sindri to compete in the International market. Fertilizer serves as the key ingredient for the food security of the country, by increasing the production and productivity of the soil. The Industry has set the domestic food grain production target at 320 million tones by 2011-12 from the present production of 210 million tones. This target would only be achieved by higher productivity through improved farming practices, expansion of irrigation, better seeds and extensive and balanced use of fertilizers.